This summer Healthy Spirituality has been and will continue to explore different approaches to prayer. With 2018 being the year of prayer here on this blog and in my faith community it is the perfect time to try a new way of praying and opening our heart to God. One of my favorite ways to quiet my soul to hear God is through the use of breath prayers. The Bibles teaches us to “Pray without ceasing.” (1 Thessalonians 5:17) How do we do this? A breath prayer is a very short prayer that can be said in one breath and repeated throughout the day. It is an ancient form of prayer, found in writings as early as the second century. The prayer communicates a sense of nearness with trust and dependency on God. Perhaps the best-known breath prayer is called the Jesus Prayer: “Lord Jesus Christ, Son of God, have mercy on me a sinner.” This prayer had its origin within the Christian tradition of the East and can be traced back to the sixth century. At the time, monks and other people who were seeking a deeper relationship with God sought some disciplined form of prayer that they could pray at any time in any place. The practice of breath prayers offers us the opportunity to continually praise God and focus on him. These short repetitive prayers contained in one breath allow the rhythm of our breathing to form spirit-filled words that accompany us with our every breath. Breath prayer becomes our lifeline – like oxygen at the top of the mountain – where day-to-day living is rough, where we gasp for lifegiving air, the spirit of life. 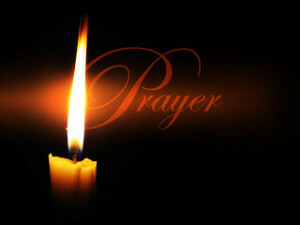 Soon prayer permeates our every moment. God’s presence bathes our body and spirit reminding us he is with us. Breath prayers are short prayers said in one breath often only 5-7 words in length. Generally it involves quietly repeating a phrase for several minutes allowing the prayer to merge with one’s breathing so that the words accompany every breath. Breath prayers evolve into deep expressions of the heart. The idea is to pick a meaningful phrase and repeat it until it become part of your very being. Breath prayers can be helpful when you don’t know what to pray. Each breath prayer expresses dependence on God, seeking to trust him more. We begin to experience a sense that we are asking something to be formed within our hearts. Through our requests, God helps us find this deeper intimacy with him by sharing in each other’s breaths. We exhale our will and breath in God’s presence in a prayer of surrender. We don’t embrace the practice of breath prayer just to earn some badge or gain some benefit. This prayer arises from our desire to follow Christ, to be open to his guidance, and to serve him in all of our actions. For the initial practice, find a quiet place and a comfortable position. I like closing my eyes and placing my hands on my knees or in my lap. Take a few deep breaths without worrying what words may come. Rest for a few minutes in God’s presence. Ask God to be with you and to help you form your breath prayer. You may have selected ahead of time the words of your prayer or checked out a few favorites from the list below. Remember to choose a short phrase that can be prayed within the rhythm of each breath. Allow your breath to carry the words. Repeat the phrase and before long you will be naturally breathing the prayer. As you finish, pay attention to your breathing once again and simply say amen or thank you. Throughout your day, remember to repeat your breath prayer. With practice breathing prayer comes more natural. You may find yourself praying as you walk or drive or clean the dishes. Some people incorporate this prayer before worship. Soon youwill experience God being with you in all the moments of the day. Think about the nearness of God as you breathe. Remember that God is with us and within us at all times. We are children of God and he wants to be closer to us. Give yourself permission for the breath prayer to voice your deepest desires or emotions. The Psalms are full of great examples of prayers in times of fear, disappointment, sin, joy, and celebration. As you breathe, imagine breathing God or Christ inward and exhaling your ego or selfish state of mind outward. Invite God to enter into every cell of your being. Tell him you want to be closer to him. Remember there is no one or only right way. You will end up with some of your favorite “go-to” breath prayers. Times of silence will happen; just be with God. Ask God for help. Consider that God is present and asking you what you need. Often a question from a bible story opens up into prayer for you. “Do you want to see?” “What do you really want?” “Where are you?” The answers to these questions that bubble up spontaneously become the foundation of your prayer. Record your favorite breath prayers in your journal. Identify a few triggers throughout the day to remind you aboutyour breath prayers. Examples could be starting the car, drinking your coffee or tea. Remember this prayer in times of anxiety, frustrations, impatience or feelings of unworthiness or defensiveness. Practicing breath prayers before I speak in front of a crowd relaxes my nerves and helps me focus. Be open to new prayers. Watch for a Bible verse that resonates with your breathing and excites your spirit. “Lord Jesus Christ” (while breathing in), “have mercy on me, a sinner” (while breathing out). Help me to love as You love, Lord. God, guide my steps this day. Show me the way. Your will, your way, your time. Abide in Jesus; bear fruit. Lead me; guide my steps. In you, Lord, I put my trust. Help me understand your ways, Lord. I wrote a book about breath prayers that you may be interested in. Whispers: Being with God in Breath Prayers is available on Amazon. Set your heart on fire this week through prayer. How have you used breath prayers in your spiritual walk?